View Poll Results: Do you own a 996 GT, 997 GT, both, or neither? Thanks Fatih. Well the RS is mildly track prepared. It has a GMG RSR roll bar, six point harnesses, RaceKeeper 3 camera video and data logger, tarret rear toe bars and eccentric eliminators, StopTech sport trophy BBK with endless ME20 pads (PCCBs removed and stored), and BBS Motorsport cup wheels with Hoosiers. Oh and of course a SharkWerks bypass pipe for great sound. 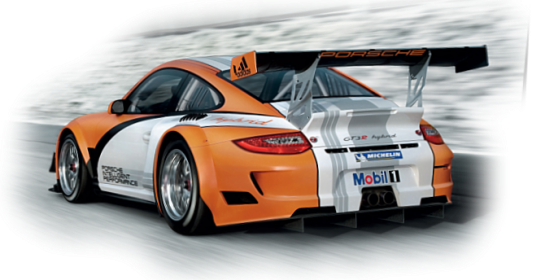 I had a 996 GT3 and a 997.2 GT3 and preferred the 997.2, it's easier to drive and much faster. I was 4 seconds a lap faster in the 997.2 GT3 at Miller Motorsports Park (Full Track) on the Hoosier R6 tires. Well its official. I have in my garage a 996 GT3. Way to go, no electronics! Good find, looking great and I hope to see it soon. I hope you enjoy it for a looong time.